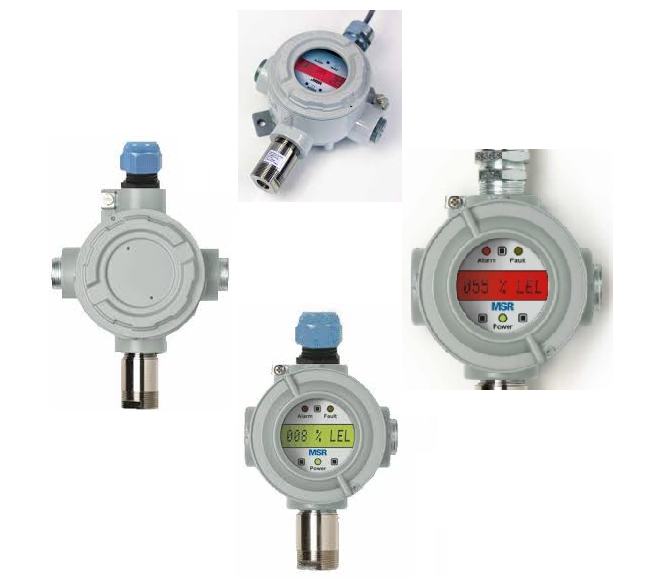 Gas Alarm Systems(www.gasalarmSystem.com.au) Australia in association with Gas alarm systems India (www.gasalarmsystems.in) are pleased to introduce MSR Germany, Polygard sensor for oil/gas or other hazardous industry. .
Microprocessor based gas sensor with 4 – 20 mA / RS485-Modbus output signal, alarm and fault relays (all SIL2 certified) for monitoring the ambient air to detect combustible gases and vapors within the lower explosive limit (LEL) by means of a catalytic sensor element (pellistor) or an infrared sensor element. The calibration of sensors without LCD display is carried out via the calibration device Cal PX or the PC software PC-Soft 80. Sensors with LCD display have an integrated calibration routine that is started from outside by a permanent magnet without opening the housing. In case of an alarm or fault the backlight of sensors with LCD display changes from green to red.